I’ve recently had a chance to review the Optolong L-Pro filter (2 types) for astrophotography from my light polluted backyard in the city. Unlike many of the filters I used in the past, the L-Pro is suitable for both stock and astro-modified DSLR cameras. (It includes a UV/IR block). I’ve always had trouble collecting images with an accurate representation of star color when imaging from the city. It’s something I spend a lot of time correcting during the image-processing stage of my projects. 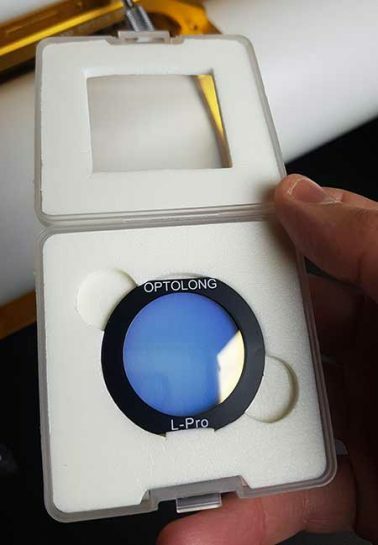 My hope is that the Optolong L-Pro filter lives up to its description of allowing more starlight to pass through than a traditional UHC or CLS filter. I’ll be using this filter with a Canon 5D Mk II to capture the Pleiades star cluster through a compact refractor telescope. I’ve chosen this target for the L-Pro because I want to showcase its ability to produce natural-looking images of broadband astrophotography targets from the city. I’ll also show you what you can expect using the L-Pro with a camera lens, as I have both the 48mm filter and clip-in Canon EOS-C (APS-C sized sensor) models. The complete list of astrophotography gear used for this review is listed further down the post. Since owning the Optolong L-Pro filter, I’ve captured two deep-sky objects through a telescope. The Pleiades star cluster and the Orion Nebula. If you are new to this blog, my backyard sky is rated a Class 8 on the Bortle scale – fairly typical conditions of most big cities. If your night sky is darker than this, consider yourself to have an advantage when it comes to astrophotography. Over the years, I have used many types of filters for astrophotography – mostly using a modified Canon Rebel DSLR camera (XSi, T3i). The type of filters you’ll want to invest in will depend on whether your camera has been modified for astrophotography or not. This filter is less aggressive than all of the other astrophotography filters I use in terms of blocking light. As a side-effect of retaining natural starlight color, each shot will also expose more skyglow than I am used to with the much more aggressive SkyTech CLS-CCD. To offset the lack of signal recorded in each shot, I’ll simply increase the overall exposure time (what else is new?). If you want a natural looking astro-image that doesn’t look like it was captured from a red zone – you’re going to have to work for it. This light pollution filter’s job is to ignore as much artificial light from the city as possible, without interrupting the natural colors of objects in space in your image. I rely on light pollution filters for deep sky astrophotography from my backyard and have tested many types of them over the years. Although many of them do an impressive job at isolating light associated with nebulae – broad-spectrum targets such as galaxies, star clusters, and reflection nebulae have been challenging. With a modified camera like my Canon EOS Rebel T3i, the cool colors in my image are often lost and need extensive correction during post-processing. 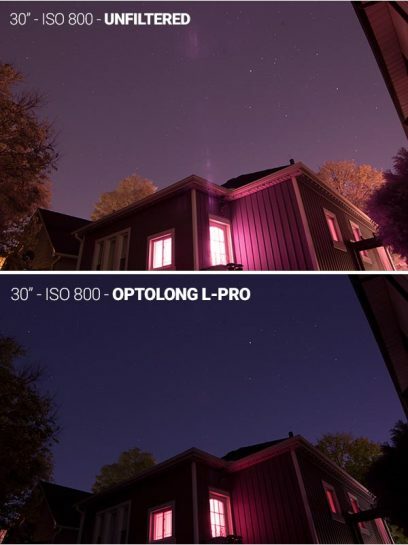 My hope is that the Optolong L-Pro’s unique optical characteristics help capture the natural looking colors of my deep sky object while reducing enough city glow to produce a quality image. I have found that it’s beneficial to use specific filters that offer unique optical characteristics for each type of astrophotography target (reflection nebulae, emission nebulae, globular clusters etc.). It would be great to have one filter that delivers impressive results for all astrophotography targets, but such a filter doesn’t exist. I’ve avoided capturing broad-spectrum targets like Pleiades from my city backyard. In fact, my personal best image of this star cluster was captured from a dark sky location about 45 minutes from home. 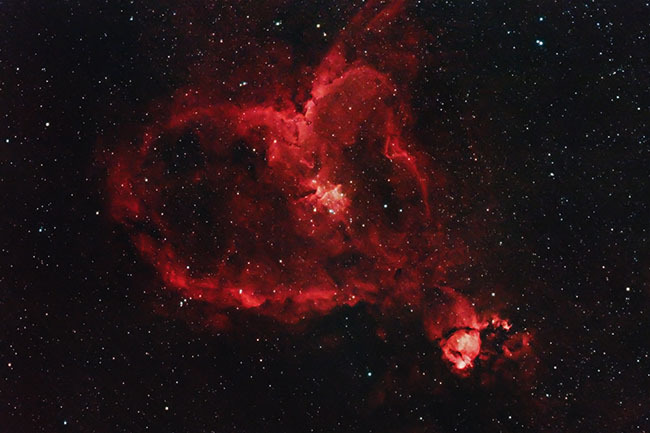 The reason for this is that narrowband filters, and LPS filters like the SkyTech CLS-CCD, do not isolate reflection nebulosity from a washed out sky the way they do with an emission nebula. It doesn’t mean that a UHC or CLS filter won’t help on broad-spectrum targets like Pleiades or galaxies, they just really mess with the colors. To be more specific, the images have a red cast and the cool colors are often hard to bring back in processing. Despite my stance on “white balance doesn’t matter when shooting RAW”, it has been brought to my attention that using a custom white balance in these situations may make image processing a little easier. I’ll experiment with this strategy over the coming weeks with the Optolong L-Pro filter. The process involves capturing an image of a white or grey card, through the telescope with the filter in place over the camera sensor. It essentially trains the camera as to “what white should look like”. In this post, I’ll show you the difference between shooting unfiltered with a stock DSLR and with the Optolong L-Pro. For this test, I’ll use the 2-inch version filter in my Canon EOS 5D Mk II. My list of camera filters has grown over the years, each with their own transmission spectral graph and light suppression qualities. As always, I’ll do my best to give you real-life examples of the filter in use – and save the detailed technical analysis for the Cloudy Nights forum. 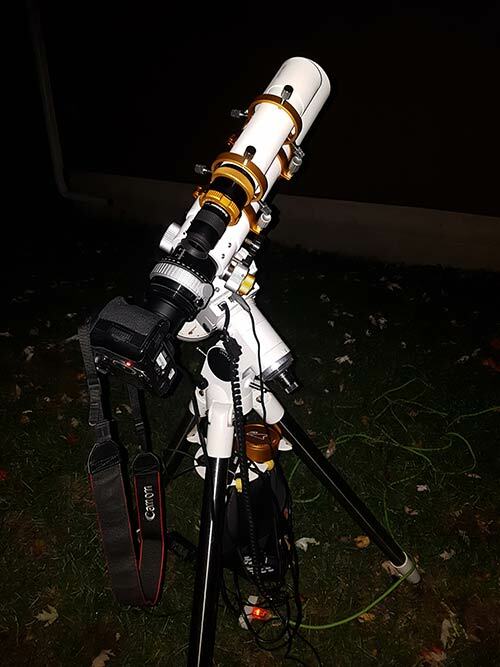 The full-frame stock Canon 5D Mk II was used through my Z73 telescope, while the APS-C Canon T3i (modified) was used with a Rokinon 14mm F/2.8 lens. The L-Pro is a multi-bandpass filter that suppresses the transmission of select light pollution lines. For example, mercury vapor lamps, sodium vapor lights and even skyglow caused by the oxygen in our atmosphere. The balanced transmission aims to offer great color balance and minimal color cast. This filter uses precision off-band blocking in the major emission lines of artificial light pollution (Na 589nm, Hg 435nm, and 578nm). Compare this graph to one on the more aggressive SkyTech CLS-CCD, and you’ll see that it allows more natural color to reach the camera sensor. The specifications for the Optolong L-Pro filter list that it blocks 90% of light pollution emission, with a spectrum of 380-750nm. The isolated light wavelengths this filter records are outlined in the spectrum graph showcased below. 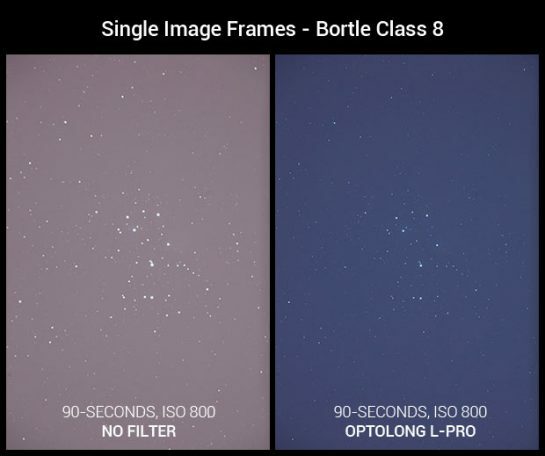 Have a look at how the L-Pro compares to the other broadband light pollution filters from Optolong. Who should use this filter? 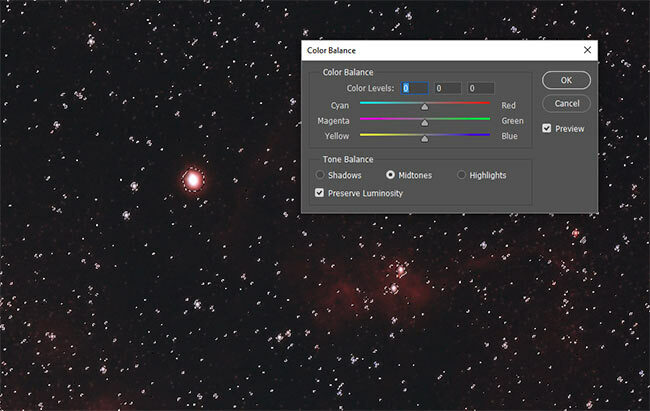 If you’re under moderately light polluted skies on the outskirts of town, this filter will help reduce city glow and help you produce natural looking astrophotography images with great color balance. If you’re like me in a red zone, the L-Pro will help when capturing broadband targets such as galaxies and reflection nebulas. If you’ve been capturing deep sky images from a light polluted location and have experienced harsh color casts in broadband targets like the Pleiades star cluster and Andromeda Galaxy, the L-Pro may be the solution you’ve been looking for. I have chosen to capture an exquisite deep sky object that will showcase the broad spectrum qualities of the Optolong L-Pro filter in a light polluted area. 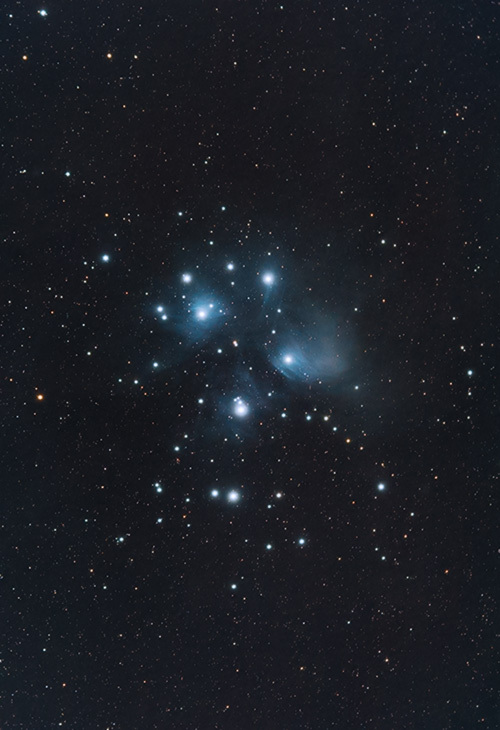 Pleiades (Messier 45) is a well-photographed open-star in the constellation Taurus. It contains a collection of 7 bright blue stars and plenty of reflection nebulosity. A deep long exposure image will also showcase vast amounts of cosmic dust surrounding this cluster. The final image will include several images that have been stacked to improve the signal-to-noise ratio. From a light polluted area, this can be a great way to offset challenging shooting conditions. 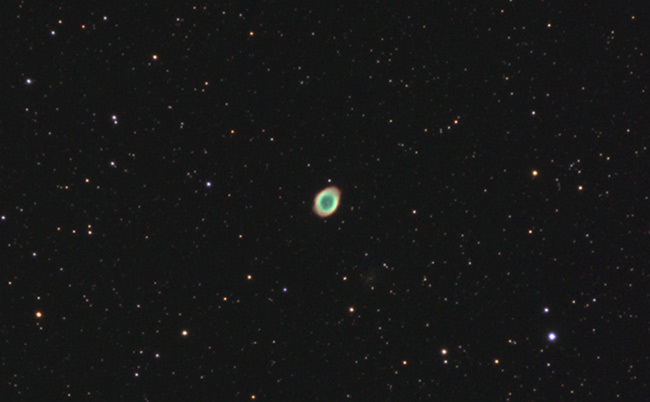 The test images were captured using a stock Canon 5D Mk II DLSR and a William Optics Zenithstar 73 Refractor Telescope. Each shot is a 90-second exposure at ISO 800. The RAW images have been converted to jpegs, but have otherwise not been processed. 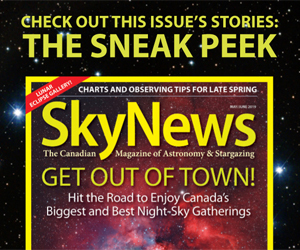 As you can see, not only is the background sky much darker, but the stars are also smaller. Both images were focused using a Bahtinov mask. The camera I am using for Pleiades image is a stock Canon EOS 5D Mk II. This is my full-frame daytime photography camera that should provide an honest example of what you can expect using stock DSLR with this filter. 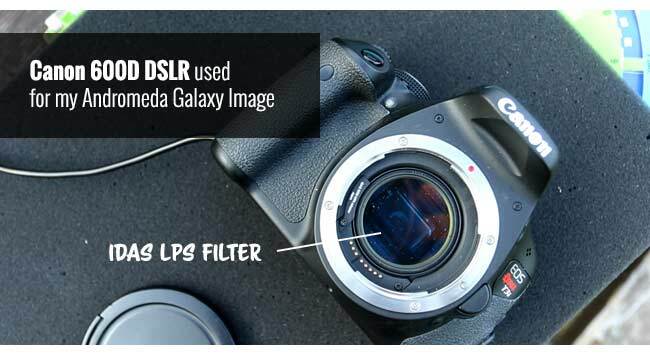 The camera includes the original IR cut filter which reduces the impact of hydrogen-alpha light collected by the sensor. For reflection nebula targets like M45 without any h-alpha light, a stock camera like this is perfectly capable of producing a cracking image. I also tested the Canon EOS-C clip-in version of the filter with my modified Canon EOS Rebel T3i. For these photos, I connected a Rokinon 14mm F/2.9 lens in place of a telescope. Up to this point, I’ve only taken a few shots around the backyard but would like to try this filter for some deep sky imaging soon. I regularly use DSLR cameras for deep sky astrophotography through telescopes and lenses, but only when the nights are cool enough. On warm nights, the thermal noise created by the camera sensor can become a problem, and no amount of noise reduction can correct it. The Optolong L-Pro filter I used for this project was the 2” (48mm) round mounted version, which I placed inside the field flattener of my telescope. It threads securely to the William Optics Flat73 flattener, on the telescope-facing side. This is a convenient location to place the filter in the imaging train and has not created any surprise reflections in my images. To recap, I am using this broad-spectrum filter with a stock DSLR camera. 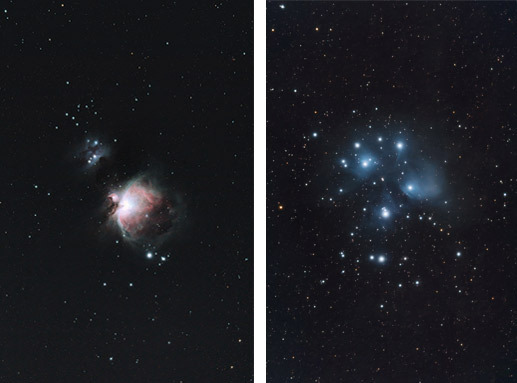 My results are most useful to those looking to capture natural looking color images in moderately light-polluted skies without using an astro-modified DSLR. If you’re imaging location is darker than mine, expect to collect images with a much better signal-to-noise ratio! The telescope is a William Optics Zenithstar 73 APO. It’s a compact doublet refractor with a focal length of 430mm. The ultra-wide field of view this telescope offers is particularly evident when shooting with a full-frame camera like the 5D Mark II. At F/5.9, this apochromatic refractor is comparable to a 400mm telephoto camera lens like the Canon 400mm F/5.6L. 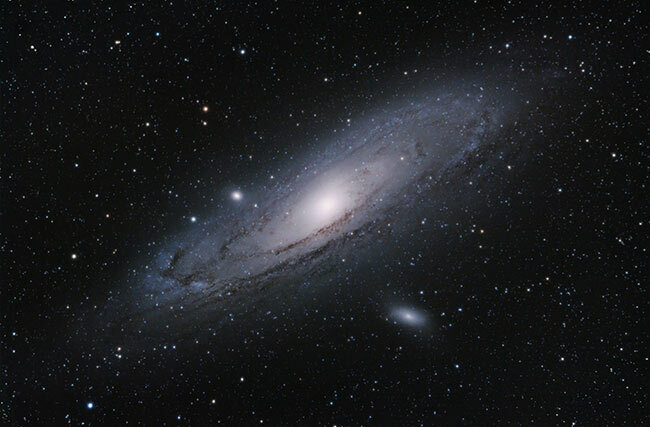 Focal ratio is an important aspect of telescopes and lenses for astrophotography – as it will have a large impact on the signal-to-noise ratio of your images. For large (broad spectrum) deep sky targets like the Pleiades star cluster, Andromeda Galaxy, and Triangulum Galaxy, the combination of a stock full-frame DSLR and a telescope like this can create some incredibly wide shots that capture the entire object with room to spare. The Sky-Watcher HEQ5 Pro SynScan computerized telescope mount performs exceptionally well at this focal length, even without the use of autoguiding. Accurate polar alignment and balance are imperative for successful imaging using an EQ mount without the aid of autoguiding. Unfortunately, my balance isn’t perfect in this configuration. The heavy 5D Mk II puts stress on the mount in the declination axis because I need a longer dovetail bar for the Z73. However, it doesn’t appear to be much of an issue when shooting 90-second exposures. The images are firing away automatically, thanks to an aftermarket remote shutter release cable. This lets me set a sequence of shots at my desired length, with a little break to let the sensor cool in between. I’ve set the automation sequence to collect 50 x 90-second exposures, but I’ve been checking in on the subs ever 30 shots or so. 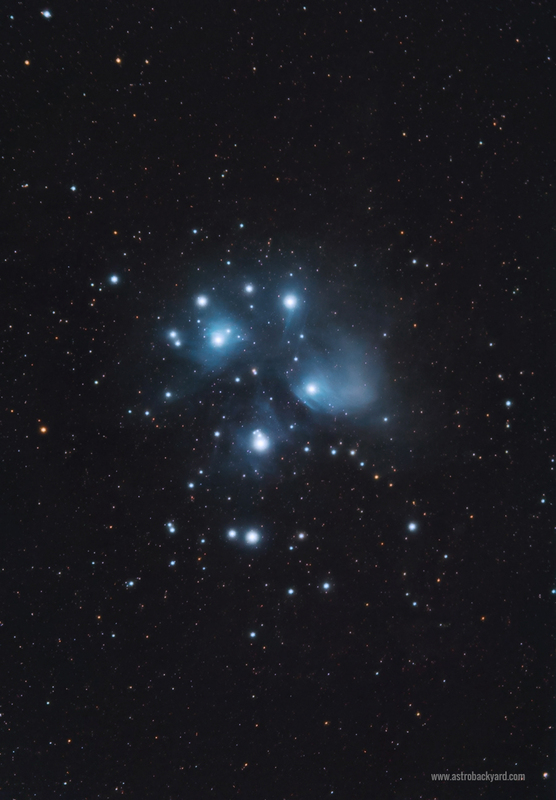 For my final image of Pleiades, I’ve decided to shoot rather conservative images of 90-seconds each, at an ISO of 1600. This time of year is much cooler at night with temperatures dropping to almost zero. I estimate the camera sensor to be recording my light frames at approximately 15 degrees C.
The data collected using these settings falls in the middle of the histogram, without clipping any information in the darks or highlights. The images could be shot using longer exposures, but I want to reduce the number of subs that could suffer from the periodic error of the telescope mount. 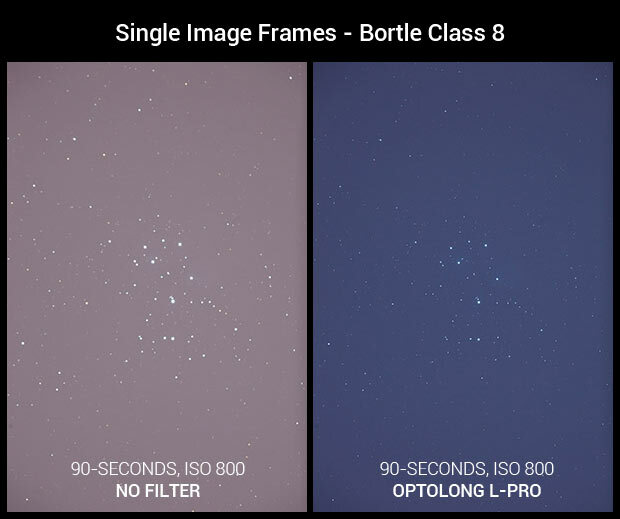 As you can clearly see from the single image frame comparison image I posted, the Optolong L-Pro filter makes a huge difference in terms of reducing light pollution. This certainly helped me collect data with better contrast and less skyglow for my image of Pleiades. As always, increasing the overall integrated exposure time is my greatest ally in the battle against city light pollution. To create an image with a signal-to-noise ratio comparable to a dark sky site, I need to collect 4-10X the amount of data. Image processing is still a challenge, but I am used to it. 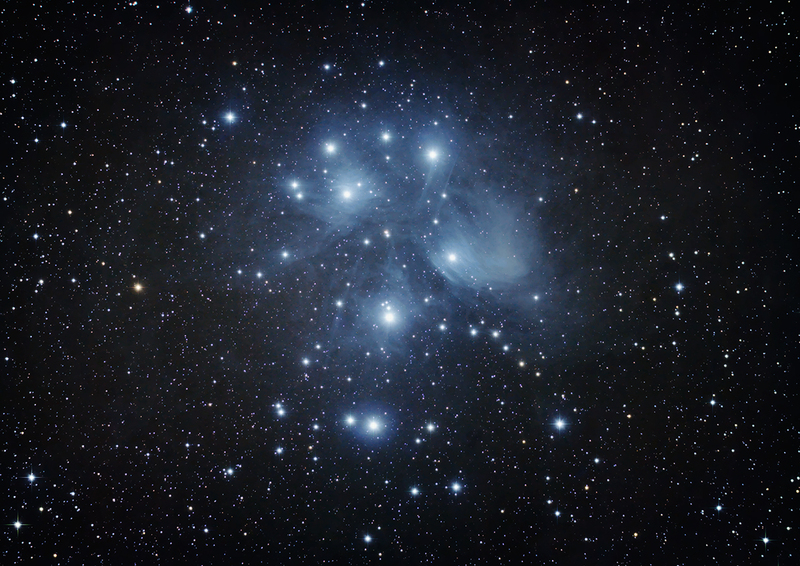 My final image of The Pleiades includes 4 Hours and 10 minutes of total integrated exposure time. Each 90-second, ISO 1600 light frame was stacked in DeepSkyStacker to improve the signal-to-noise ratio of my final image. Final image processing was done in Adobe Photoshop using a number of plugins (listed here). For the image comparison below, a modified Canon EOS Rebel T3i was used. The shots were 30-seconds each on a fixed tripod. I intentionally included the light from my back window to showcase the subtle light suppression qualities of the L-Pro filter. “Daylight” white balance was used with an ISO of 800 for both the unfiltered and filtered shots. Notice the difference in the street light reflections in the trees? It appears as though this filter is reducing the bright glow of the LED lighting in my neighborhood. The image I shared earlier in this post was taken with the Optolong EOS-C filter in my Canon 5D Mk II. I was able to place this APS-C sized filter in my full-frame camera and attach the Rokinon 14mm F/2.8 lens on top. I wouldn’t recommend this configuration, but it is possible. I suspect this causes some serious vignetting, but it wasn’t overly obvious in my shot. Because the L-Pro creates a rather natural looking image, this would make a great choice for Milky Way nightscape photography. 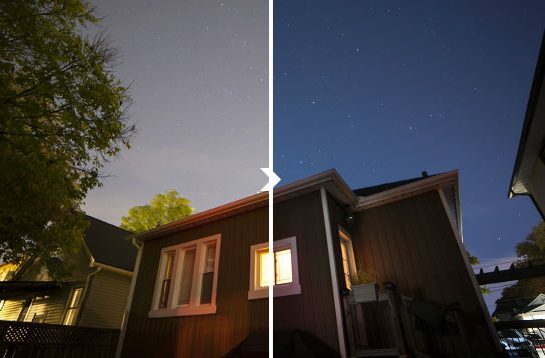 It could help tame any surrounding light pollution without creating challenging color correction issues to deal with in post-processing. I am quite pleased with the effectiveness of the Optolong L-Pro filter from a city sky and thrilled with the image of Pleiades I was able to produce. The 2-inch round mounted version fits neatly inside of my field flattener, allowing me to connect any type of camera I want. It would be interesting to compare the difference between a complete broadband deep sky project shot without a filter versus one using the L-Pro. I was not willing to soak this amount of precious time into an unfiltered image, but I’d be interested to see the comparison. My thoughts are that the star-bloat from an unfiltered shot alone is enough of a reason to employ a broad spectrum light pollution filter like the L-Pro. 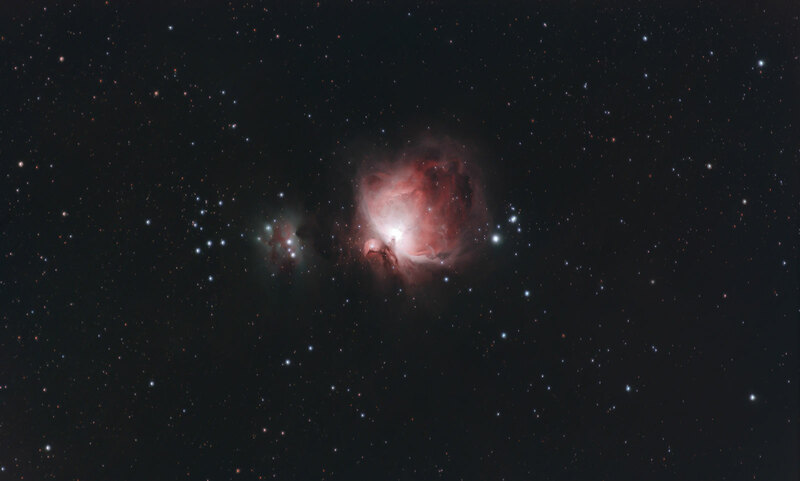 The Orion Nebula using a Modified DSLR and the the Optolong L-Pro. In March 2019, I tested this filter on a stock Canon EOS 7D Mark II DSLR. 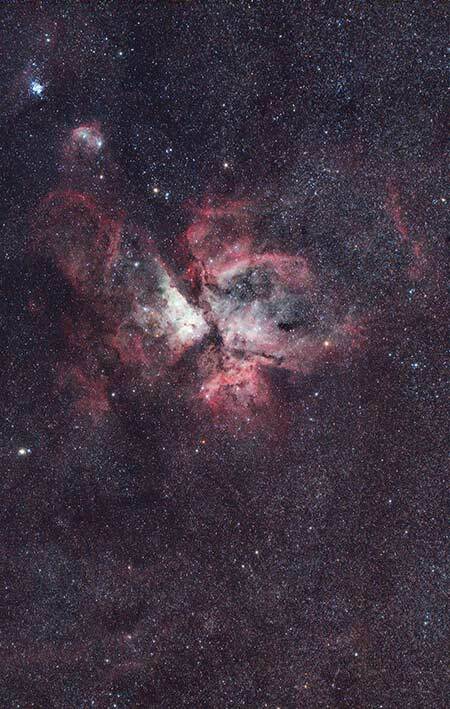 The target was the glorious Carina Nebula using a RedCat 51 refractor telescope. This photo contains less than 10 minutes of overall exposure time, and was captured during my visit to Costa Rica. 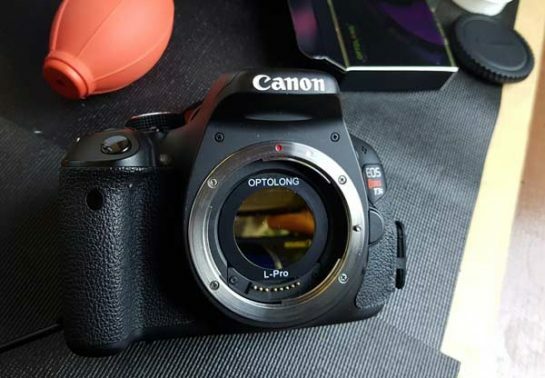 I hope that my review of Optolong L-Pro filter gives you a better idea of what to expect. Until next time, clear skies! One of the most common questions I receive each day is which light pollution filter I recommend for astrophotography in the city. There have never been so many choices available, with each one offering their own advantages and disadvantages. Couple that with the fact that these astrophotography filters can be expensive, and you’ve got some tough decisions to make. Over the years, I have had the opportunity to use a number of filters designed to improve astrophotography performance. This includes both deep-sky camera and telescope configurations, and with wide-angle camera lenses. In the following post, I will share what I have discovered about each of these filters when in use for astrophotography. The majority of my imaging happens in my light polluted backyard, but I have used many of these filters under dark rural skies as well. I’ll provide actual image examples of subjects shot using these filters, so you can decide which filter is best for you. In my mind, the filter that produces consistent usable data from your location is the one you’ll use most. Whether I am shooting with a modified or stock DSLR camera, shooting from the city without a filter is not possible. Unless I want a completely white image of the sky in a 30-second exposure, I need to do something about that horrible city glow. I live in a red-zone on the light-pollution map (Bortle 8), which makes long exposure astrophotography a challenge. The biggest problem when taking images of space from the city is lack of contrast. Narrowband filters are an excellent option when it comes to capturing DSO’s (deep-sky objects) through bright city skies. Because the wavelength of light they record is so narrow, only the good light that contains the gas from your target is recorded on the camera. A false-color image can be constructed using a set of filters in Ha. OIII and SII and can be incredibly gorgeous. But what about if you want to capture a full-color portrait of an astronomical target with the real colors? Thankfully for astrophotographers in my situation, there are a variety of filter options available. 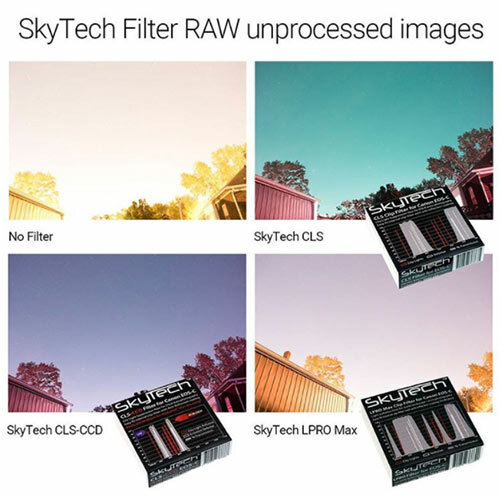 Light pollution filters such as the Skytech CLS-CCD are designed to ignore many of the wavelengths of artificial light that surround my backyard sky. 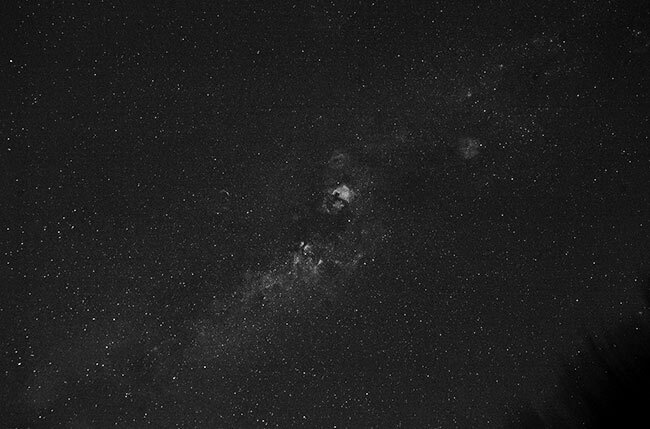 The resulting images have a much better overall contrast, and the deep-sky object can often be identified in the image frame after a 1-2 minute exposure. 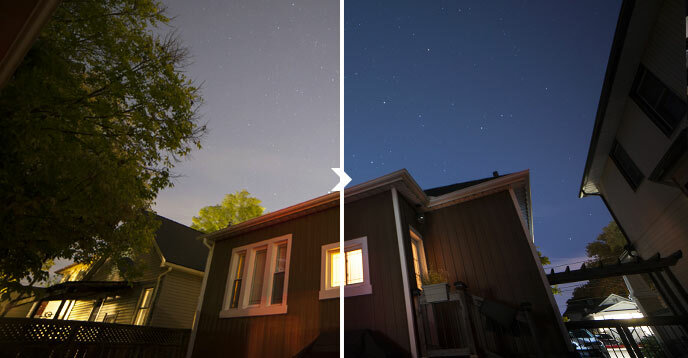 Light pollution filters do not come without their shortcomings. The artificial light-blocking power of these UHC (Ultra-high contrast) filters also affects the natural colors found in the night sky. Specifically, the beautiful blues and cool colors of stars. Strong filters can often record images that show a sea of red stars in the image, whether they are a cool red star like Betelgeuse or hot young star like Bellatrix. The astrophotography filters featured in this video are the DSLR clip-in models that install into the camera body, and 2″ round mounted filters that thread intro your camera adapter or field flattener. This gives you a chance to see some of the models referenced in this post first-hand. When you read the product descriptions for astronomical filters, you run into a lot of the same benefits and terminology. For example, you may read that a certain filter includes an AR coating. AR stands for “anti-reflective” and you can understand why this aspect is desirable when photographic bright stars. The IDAS LPS P2 filter lists its coatings as “IGAD” which stands for Ion Gun Assisted Deposition. This technology states that it reduces the spectrum shift created by standard filter coatings. Not only do I not know how to prove the subtle differences in technology between filters makes, I’m not convinced I would be able to tell the difference in my images either! It can be extremely difficult to test small changes in hardware when the conditions you shoot in are constantly changing. The bottom line is, each filter will have it’s own coatings and technology, but the effectiveness of that technology is only appreciated when used in your specific situation. With that being said, there are some key terms you’ll want to know before investing in a new filter for your telescope. What’s the difference between UHC and LPS? A UHC filter (Ultra High Contrast) reduces the effects of artificial lighting and the skyglow in our atmosphere. The images shot through a UHC filter display a noticeably higher amount of contrast and details of many common deep sky objects. 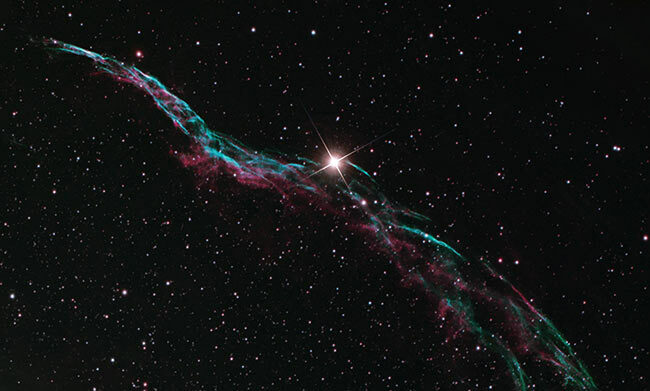 In the past, I have appreciated the results obtained using a Baader UHC-S filter on the Veil Nebula. A CLS filter (City Light Suppression) such as the Astronomik CLS has a wider bandpass than a UHC filter. A CLS filter is suitable for stock (unmodified) DSLR cameras, and work well under moderately light polluted skies. For my modified Canon Rebel T3i, a CLS-CCD filter is a better fit with an infrared wavelength (IR) 700-1100nm cut-off. You can learn more about Light Pollution Filters with helpful spectral curve graphs on the Optolong website. The ideal astrophotography filter for your situation will reduce light pollution, and create images with natural colors and impressive contrast. The amount of light you will need to block of course depends on your imaging conditions. I consider myself to be a good example of someone shooting at the extreme end of the light pollution spectrum, so if I can get around it, you can too. The Baader Neodymium Moon and Skyglow filter impressed me in terms of color balance. 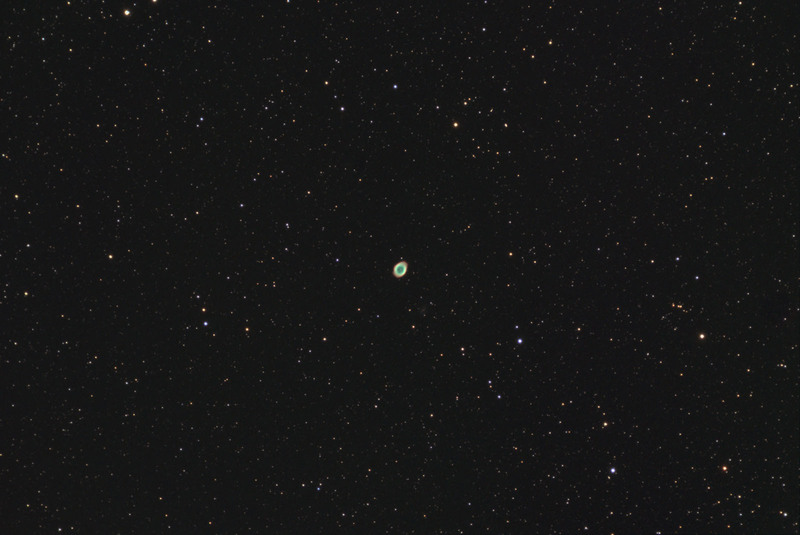 Using the 2″ round mounted version with my Altair Hypercam 183C resulted in images with a commendable amount of contrast, without destroying the true color of the stars in my image or excessive dimming. A 2-inch filter (48mm) like this can also be used inside of a filter wheel. 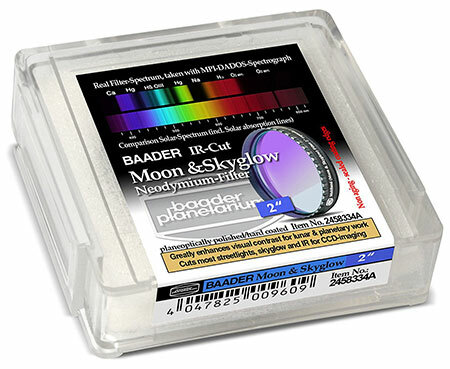 The Baader Moon and Skyglow filter would make a great luminance filter as a part of your LRGB filter set, or even threaded to your reducer in front of the RGB filters. In my tests, I found this version to produce better results than the more expensive Baader UHC-S Nebula filter. Baader lists the UHC-S Nebula filter as having several advantages for visual use, including greater contrast when observing emission nebula. In terms of astrophotography, I found my images retained more natural looking colors when using the Moon and Skyglow variation with my modded DSLR. The Neodymium glass used in the Moon and Skyglow version of the filter is based on research at Carl Zeiss. The unique characteristics of the Neodymium glass blocks specific wavelengths of light such as streetlights and the moon. The included IR blocking coatings suppress chromatic aberration when in use for astrophotography. 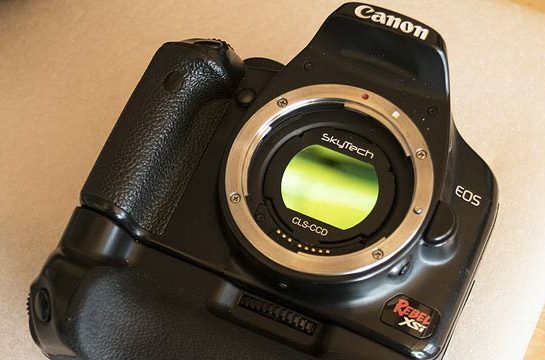 This is an important aspect that is not to be overlooked when shooting with a modified DSLR camera that has had the stock IR filter removed. Without an IR-Cut filter in front of the sensor, you may have trouble producing accurate, focused stars with your refractor telescope (bloated stars). An external UV/IR cut filter is required when imaging with a full spectrum modified DSLR and an ED refractor. Discussion: Should I Use an IR/UV Cut Filter with an Astro-Modded DSLR? The rich field of colorful stars that surround the Ring Nebula is a great example of this filters ability to retain natural colors. Consider this example image to be a testament to the effectiveness of this filter when used from a heavily light-polluted location. These filters are available from Ontario Telescope & Accessories, and my experience using them is thanks to my partnership with OTA. If you have ever dealt with the owner before, you can see why I and many reputable manufacturers stand behind this dealer. These filters are compatible with Canon EF lenses only, as the rear element of EF-S lenses will come in contact with the filter. Over the years I have slowly built an arsenal of (used) Canon L-Series camera lenses, which are all EF models. I am told that this is not an issue with third-party EF-S style lenses, but I have not tested this myself. 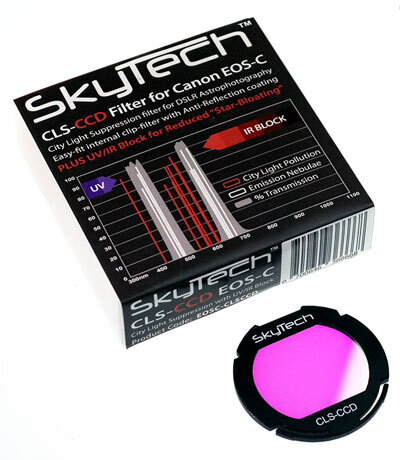 The SkyTech CLS-CCD filter is my goto choice when shooting nebulae with my (Astro-modded) DSLR from home. The included UV/IR filter in the CLS-CCD variation of this filter means that my stars do not bloat, and my full spectrum modified 600D is effective when using my ED refractor. Although the CLS-CCD filter has a wider bandpass than a traditional UHC filter, I have found that color rendition still leans heavily on the red side, meaning that corrections to color balance must be made during the image processing stage. If you are up to the challenge of correcting the color balance of your image afterward, the SkyTech CLS-CCD is a top performer in a city backyard. I covered these filters in detail a few months ago when I first received a batch from Ontario Telescope & Accessories. The L-Pro Max version let the most light pass through, resulting in less than pleasing results from the city. The L-Pro Max filter preserves plenty of natural light and was designed for Milky Way photography from dark or rural sky locations. The L-Pro Max is listed as the best option for “nightscape photography” because of its natural light preservation qualities. Unfortunately, I did not get a chance to test this filter under more accommodating conditions. Just look at what my unfiltered backyard sky looks like in a single long-exposure image! The IDAS LPS P2 filter I use in my Canon DSLR was specifically designed for balanced color transmission by Hutech. The IDAS filters use a unique “Multi-Bandpass Technology” to achieve a natural color balance in broadband images. Compared to the Astronomik CLS clip-in filter, I found the IDAS LPS P2 to indeed do a better job at maintaining a natural color balance. The IDAS filter can be especially effective when shooting from moderately light polluted skies like the ones I experienced this summer. This was the filter I used while capturing the Andromeda Galaxy on a camping trip in August 2017. The image below utilizes data taken years apart, both with the IDAS LPS P2 filter installed in the camera. 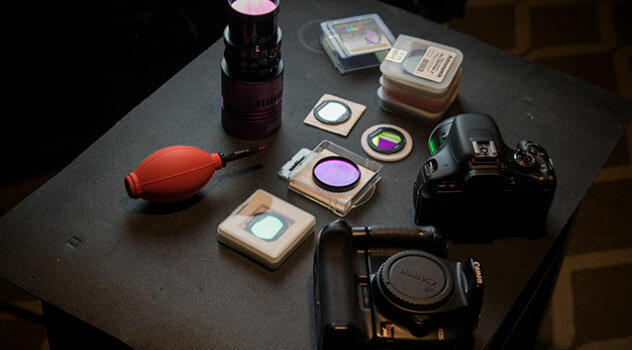 The Optolong L-Pro filter is a great choice if retaining natural colors is a priority. This broadband filter specializes in capturing images of broad-spectrum targets such as the Pleiades star cluster. It’s also useful for shooting nightscape images and the Milky Way from an urban location. The image below showcases the dramatic difference the Optolong L-Pro filter made when shooting through a telescope in my backyard. The 2″ round mounted version is best for a one-shot-color camera, while the clip-in DSLR versions fit perfectly underneath a camera lens. When it came to using the Altair Hypercam 183C (or any other non-DSLR camera for that matter), I had no choice but to invest in some 2″ round mounted filters I could thread onto my field flattener. Although they are more costly, I prefer a 2″ filter over the 1.25″ because I like the option of having the widest coverage possible. Anyone shooting with a full-frame DSLR or CCD camera with a big sensor likely will too. The 2″ round mounted filters are more versatile as they can be used with both DSLR’s and dedicated CMOS astronomy cameras and CCD’s. The clip-in astrophotography filters I have tested were all built for Canon DSLR’s with APS-C sized sensors. The SkyTech and Astronomik filters all actually clip into the camera body, while the IDAS LPS P2 filter needs a specific mounting ring and tiny screw to hold it in place. The biggest benefit the clip-in filters have is the ability to be used with a camera lens attached. The option of shooting with camera lenses of various focal lengths is an attractive feature. The Astronomik 12nm clip-in Ha filter creates photo opportunities such as ultra wide angle portraits in h-alpha like the photo below. If you primarily shoot wide angle astrophotography shots with a camera lens on a tracking mount, then a clip-in filter is your best option. 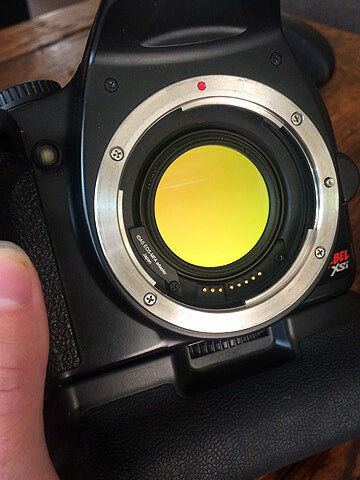 Deep sky imagers using a DSLR and telescope will find clip-in filters handy when manually swapping out the filters based on the current conditions. 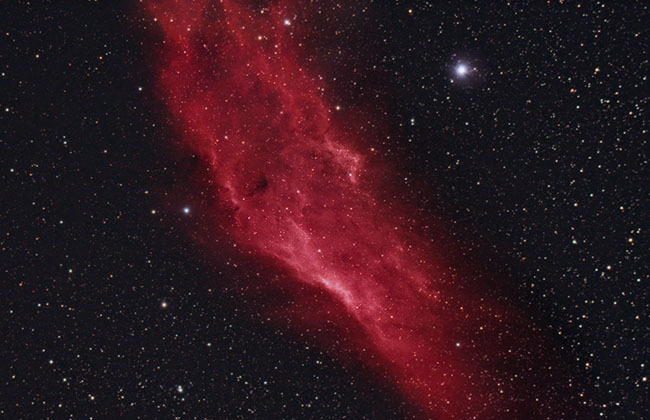 For example, during the week surrounding the full moon, I like to capture wide-field images using a 12nm Ha filter in the William Optics Z61 APO. 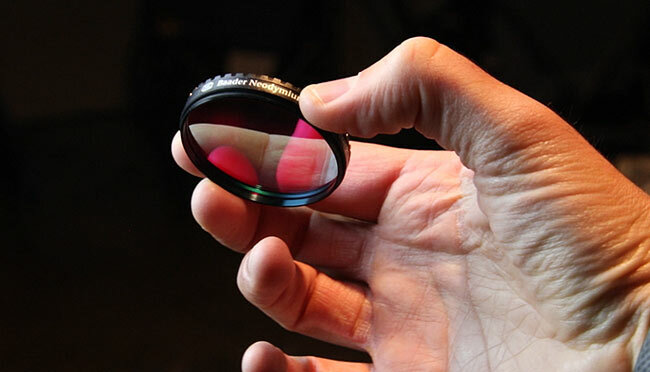 Lastly, clip-in filters protect your camera sensor and mirror from dust and debris. Much like an external UV lens threaded to an expensive camera lens, it’s nice to have a protective layer over the important bits. Any dust that accumulates on the surface of the filter can easily be blown off by using a simple photography blower. If you read my post about shooting narrowband images with a color camera, you’ll remember that the Bayer matrix design of a color CMOS camera sensor is not as effective at collecting narrowband light as a Mono sensor is. A color camera like the Hypercam 183C trims the light gathering ability at these wavelengths down to 1/4, meaning that less detail is recorded in each frame. 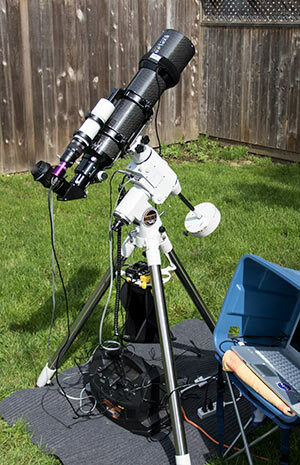 It’s not an ideal situation, but these filters can still benefit the backyard astrophotographer on a budget, who wants to try narrowband astrophotography with an existing color camera. I am a big fan of images with the real, natural colors of a nebula or galaxy. 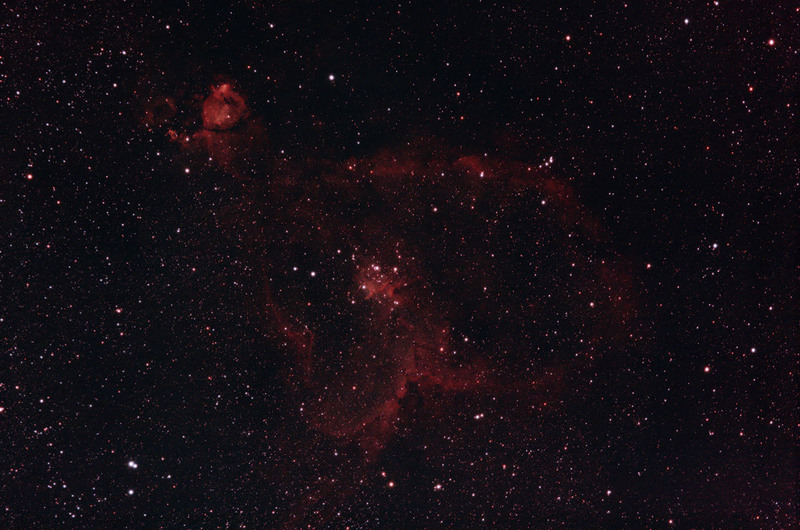 Emission nebulae with deep reds can often be a little easier to process from light polluted skies. The rich vibrant color of the hydrogen gas shows up with impressive contrast against a city sky on targets like the Omega Nebula. Because of this, it can be easy to ignore what has happened to the cool blues of the stars and background sky of the image. A modified DSLR camera will record more red details in the hydrogen gas in emission nebulae. The camera used for the photo above was a full-spectrum modified Canon EOS Rebel T3i (600D) with a SkyTech CLS-CCD clip-in filter attached. 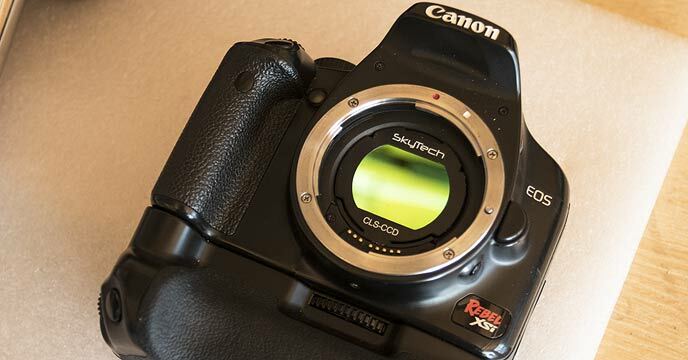 A stock DSLR camera with the original IR Cut filter intact would be better suited for the SkyTech CLS clip-filter. 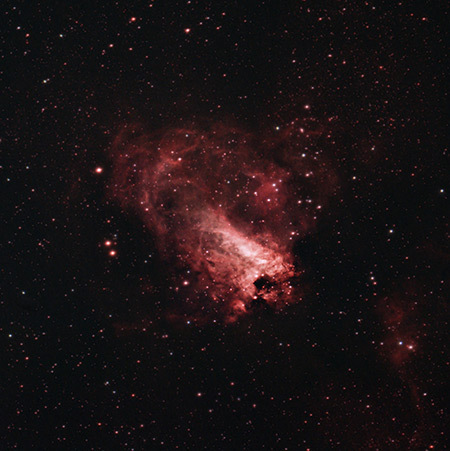 Other examples of emission nebulae that benefit from the strong light pollution filter like the CLS-CCD include the Eagle Nebula, California Nebula, and the North America Nebula. These deep sky targets are all primarily red hydrogen gas that shows up in long exposure images with a welcome amount of detail and contrast. Reflection nebulae, especially dim ones like the Witch Head Nebula, are much harder to capture from a light polluted area. A modified camera has no advantage when it comes to capturing these dusty DSO’s with colors that reside in the blue area of the spectrum. I would suggest using a less-harsh light pollution filter on these types of objects, as retaining the natural cool colors of the target is advised. With the RAW broadband color data captured, your images may display the signs of an astrophoto with a strong broadband light pollution filter. There are many ways to tackle this issue during the image-processing stage of your photo, but my preferred method is to make all adjustments to the final stacked image. There are many chances to adjust color balance in your image along the image processing stages. The point you choose to make adjustments is up to you, and often experimenting with your captured data can result in a more effective workflow. As you can see, there are countless ways to handle this task, each with slightly different results. The methods above only reference stacking and processing images using Adobe Photoshop, as that is still the way I prefer to process my astrophotos.